I find Beyonce compelling because she is a multi-talented artist. She shows all different forms of art from painting, singing, dancing, fashion, and poetry. She presents herself very respectively and is a good role model for younger girls. I envy her ambition to be the best while still enjoying her job. In her interview she says that she enjoys being an artist because you can't be judged art because its a form of expression. I find her interesting and worth sharing because she doesn't let her fame define who she is, but she defines who she is. 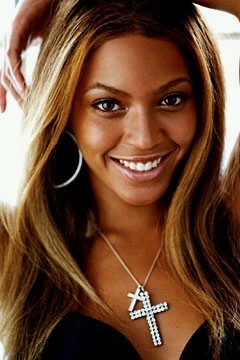 Beyonce Knowles is an American R&B artist, performer, actress, and fashion designer. She started as a singer of one of the best-selling girls group of all time called Destiny Child until it ended in 2005. She is the third most honored woman in the Grammy history. She has won sixteen awards with forty two nominations. In her whole career she has won 117 awards and been nominated for 264. Then she became a solo artist, then an actress in multiple movies, later she started her own clothing line called Dereon. She carry herself respectively and focused her on her career, she doesn't cuss and created an alter ego named Sasha Fierce. She was in a relationship with another major artist Jay-Z for six years before getting married in 2008. Now that she is thirty years old and her career is remarkable she has decided to take a break and have her first child in February. This is the official website for Beyonce that contains her biography and fashion. This reference shows the latest news and press on her. It also has her release dates and credits. There are multiple videos of her music and behind the scenes. There's also an option for photos of her throughout her career and films she's been in. You can also subscribe to her website to get updates. This is a timeline of Beyonce career from the start from 1988- present. It starts from her first performance and goes through her career with all her awards, albums, commercial, and magazine covers. This is a interview with Beyonce talking about her artistic skills, how she likes the paint, write poetry, songs, putting on shows, fashion, and dance. She mentions if she wasn't a singer she'd a some sort of art teacher.